Before getting into lathe machine parts and their uses, it would help to understand what this type of machine is. In simple terms, a lathe machine removes material from a workpiece with the goal of achieving the preferred size and shape. Ultimately, the machine holds a wood or metal workpiece so that through grooving, chamfering, facing, turning, forming, and so on, the product comes out to the customer’s specifications. 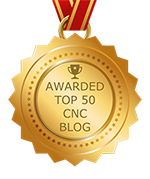 Even if you are well-versed in CNC machined products, some things might surprise you. As you look over the information provided, not only will you be surprised, but there is a good chance that you will gain a better appreciation for the process of CNC machining parts and components. Versatility is one of the biggest advantages of using a CNC drilling machine. In fact, multiple industries rely on both a standard and portable drilling machine for a variety of applications. As you will discover, this type of machine is essential to the success of many companies because of its incredible precision and reliability, whether the machine moves forward or backward. If you are looking for the best CNC machining service for your business, the information provided will help. Among the many factors to consider, two stand out. First, you want to find precision CNC turning or whatever application you need. Second, you should look for a company that is known for offering the highest-quality global CNC products. Although it is one of the easiest materials to machine, safety remains a top priority for people who work in aluminum machining workshops. Traditional aluminum machining, which includes sawing, boring, tapping, turning, and custom aluminum milling, involves the use of powerful machinery. Unless properly operated, the risk of damage or injury is very real. Read more! Before choosing CNC lathe services, there are several things worth noting. Obviously, the goal with metal lathe services is to get a part or component made to your exact specifications. In fact, you may need custom metal lathe work. Regardless, it is to your advantage to start by identifying several of the top companies. From there, conduct research, make comparisons, and request a CNC machining quote. Based on the information gathered, you will have an easier time narrowing your choice down to just one company. Read more! For precision parts, components, and equipment, it is essential that you choose the right custom CNC turning shop. As with any business, a CNC machine shop can make all types of claims. However, as the customer, it is your right and responsibility to conduct research to find the best company, one with experience, expertise, and high-quality CNC turning tools. Precision CNC machining covers many different things, including milling, drilling, and cutting of steel, copper, aluminum, and other metals, as well as plastics. For the fabrication of shafts, it is essential that you choose the right precision CNC machining services. You know that custom CNC machining services are used to fabricate various parts and components for a broad range of applications within different industries. However, you may not be aware that CNC machining will boost the success of your business. The quality of products made by CNC shops plays a direct and critical role in your products, which ultimately affects the consumer.